In the meantime I bring you a new vegan recipe from the famous book Vegan Cupcakes Take Over the World, basic chocolate cupcakes. These are very simple, easy cupcakes to make yet really, really delicious! They greatly surprised me right after the first bite: so tender, fluffy, soft, with the right touch of sweetness and an excellent chocolate flavor. What I love about vegan bakery is that the absence of egg and dairy makes you perceive and taste more flavors, like in this recipe, where the chocolate plays the main role! *I always use more vanilla extract since almond extract and I aren't good friends. 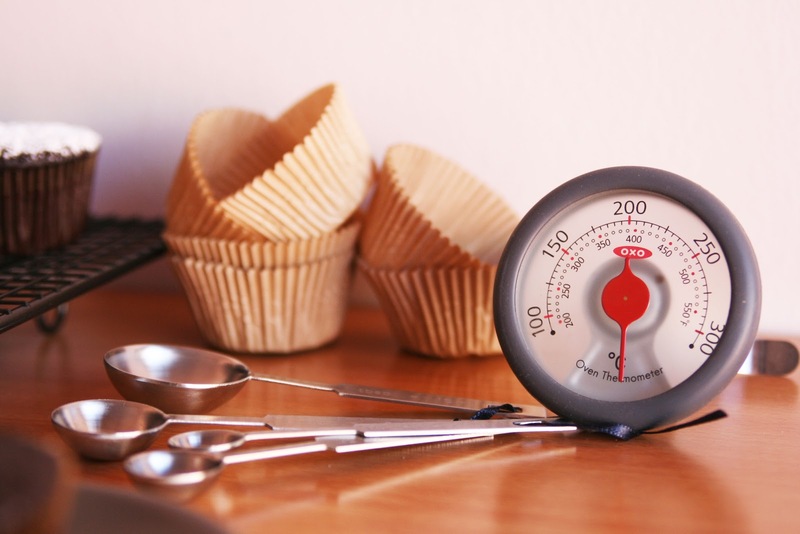 Preheat oven to 350ºF (180ºC) and line cupcake pan with paper liners. In a large bowl, whisk together the soy milk and vinegar and set aside for a few minutes to curdle. Add the sugar, oil and vanilla extract to the soy milk mixture and beat until foamy. In a separate bowl, sift together the flour, cocoa powder, baking soda, baking powder and salt. Add in two batches to wet ingredients and beat until no large lumps remain. Using an ice cream scoop, pour into liners, filling 3/4 of the way. Bake for 18 to 20 minutes, until a toothpick inserted into the center comes out clean. Transfer to cooling rack and let sit for a minute or two, then remove them from pan and let cool completely again on the cooling rack. Tip: when it comes to vegan bakery the choice of the baking dishes are very important. 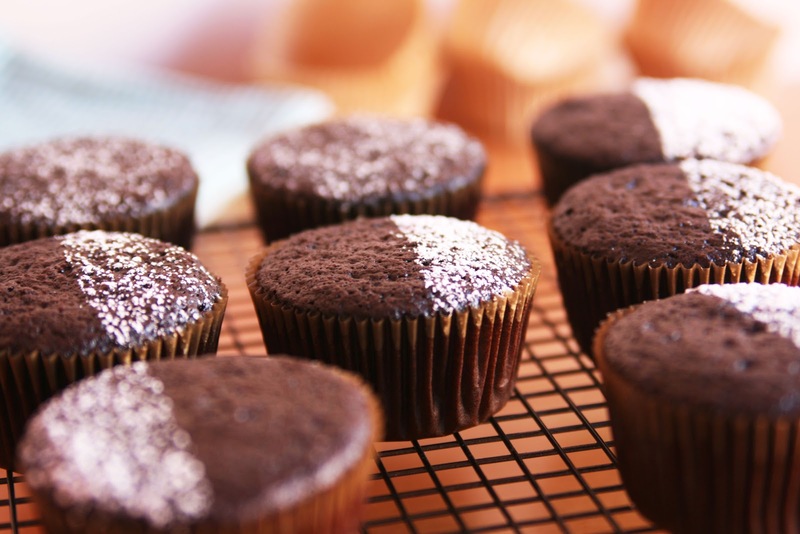 If you use the wrong pan to bake, for example, these cupcakes, it'll most probably ruin the recipe and they will came out not very good, believe me. That's why I highly recommend you to buy an aluminium pan because, like the book authors say "they produce the most consistently perfect results". 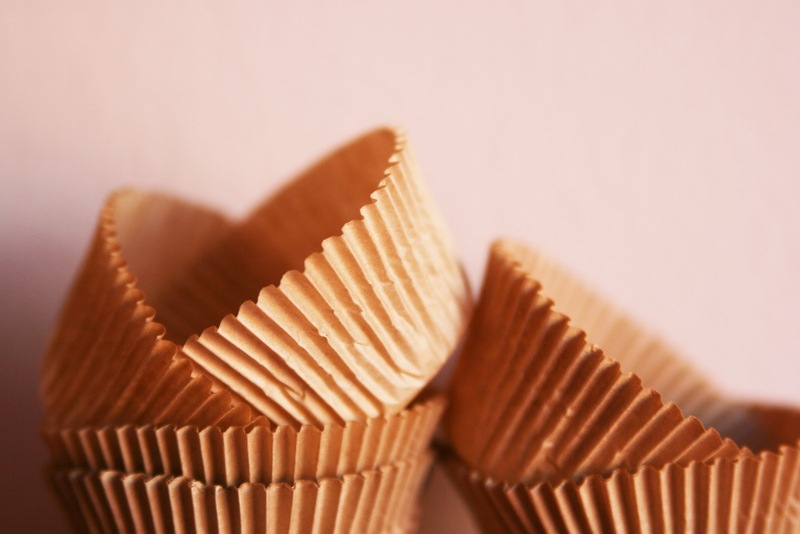 Your cupcakes will rise beautifully and they will have a nice soft and tender texture. El mio me lo como con una taza de té! Bss y feliz semana! Hola Sílvia! A mí también me gusta acompañarlos con un buen té. :-) Seguro que ya tienes pensado qué dulce o qué plato típico vas a hacer esta Semana Santa, riquísimo como siempre. 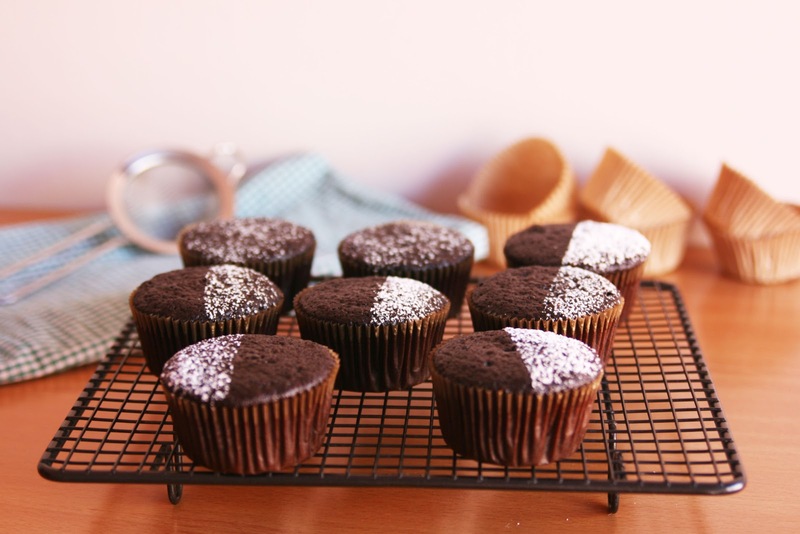 Hello dear, this vegan cupcakes are delicious and your photos are so beautiful and clean. I'm getting close to just cooking vegan, and I must say I'm curious! Thanks a lot Elena, you're so sweet! Your food pictures are very cute too. I'm so into vegan bakery, never thought it could be so good and delicious! If you need any help with some vegan recipe, just ask me! Diggin' your vegan posts, lady. Love that last photo of the cupcake paper too.